Walk: 1:00 – 2:00 p.m. Celebrate: 2:00 pm – 3:00 p.m. 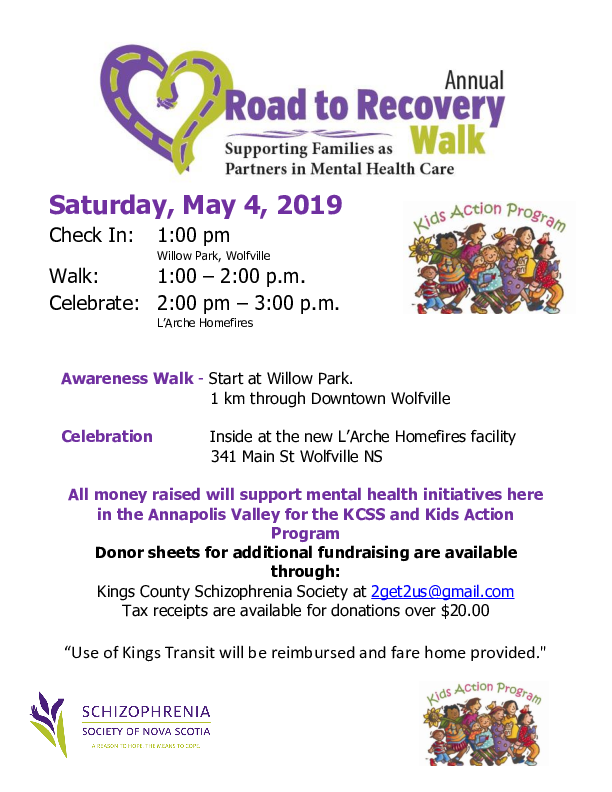 The Walk will begin at Willow Park and proceed through downtown Wolfville terminating at the L'Arche Homefires facility, 341 Main St Wolfville NS, just opposite the Wolfville Fire Station. There, refreshments will be served and a social event will take place. This is an awareness and fundraising event. Use of Kings Transit will be reimbursed and fare home provided.